A recent survey conducted by IDG in association with Intel pointed at the attention which IoT is getting from the business leaders across the industries. It also felt that the top four industries which will benefit from IoT are automotive, energy/utilities, consumer electronics and technology. It is not surprising because there is not enough available information about IoT and this scenario is true even in its core industry – the IT industry. It is quite clear that it has lot to prove to the leaders of IT industry. Fortunately we have a range of examples across the sectors which projects endeavors in this area. Energy utilities are using PMU (Phasor Measurement Unit) data real-time analysis to understand the events in the power grid. This enables them to formulate a proper response as per the required issues and that also with a quick turnaround. Power grids of the future will be both smart and reliable which will enable the power companies to automatically collect data and analyze the behaviors of consumers as well as suppliers. By using IoT to connect people, product and services the energy companies are streamlining the flow of information to increase asset performance, improve real time decision making, and improve the final productivity and efficiency. Investment in IoT is therefore paying off in terms of better customer service, increased return on investment and better quality. IoT enabled devices make the operation is Oil and Gas sector more efficient and productive than traditional technology and conventional automation. With IoT equipments coming to picture, the whole landscape of your everyday life is going to change. You can make your dinner before reaching home, make the dryer run when the electricity rates are cheapest, turn off the ac when the room temperature reaches a particular set temperature and many more such cool stuffs which you have only seen or imagined in sci-fi movies. The main challenge which hinders the adoption of IoT is the non uniformity of the coding language due to which devices are not compatible with each other. This is the reason why Apple has launched an innovative HomeKit app to connect its Smartphone to home products. Samsung acquired “Smart Things” to coordinate and control devices which have been manufactured by different firms. Google spent nearly $3.2 billion to buy Nest Labs-Learning Thermostat-maker. Nest is in touch with multiple tech giants like LG, Whirlpool, Osram and Phillips to make their products to talk to each other. As an example when locked or unlocked with August Smart lock, the Nest thermostat will automatically be switched on or off and so will be the Whirlpool washing machine synced for its dryer cycle. 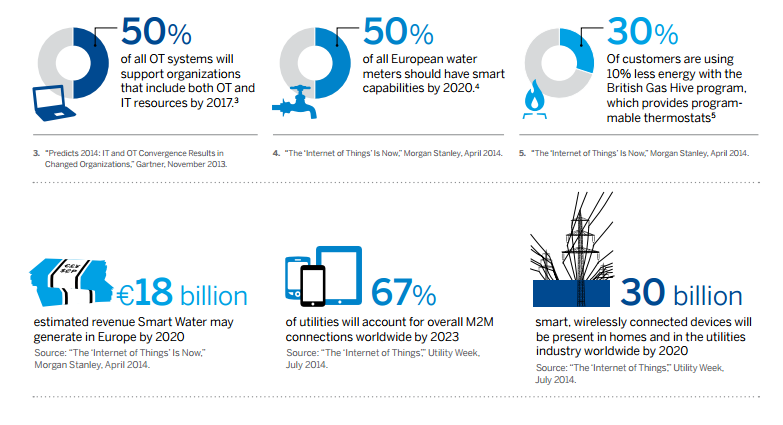 For IoT to reach its full implementation, involved sensors need to be self sustaining i.e. we should not be changing the batteries now and then. There is a requirement of generation of electricity within the sensors by the use of environmental elements like light, vibrations and heat. In this direction, scientists at the 241st National Meeting & Exposition of the American Chemical Society (2011) have designed a nanogenerator which is a flexible chip and uses body movements to generate electricity. Another challenge will be the security of the data because major chunk of the data will be roaming in the clouds. With the volume of the data rising, the level of security breach will also be following a spike. According to a Cisco projection, there will be 50 billion connected devices by 2020 and each such node should be protected and with multiple manufacturers coming into picture will produce siloed security standards. 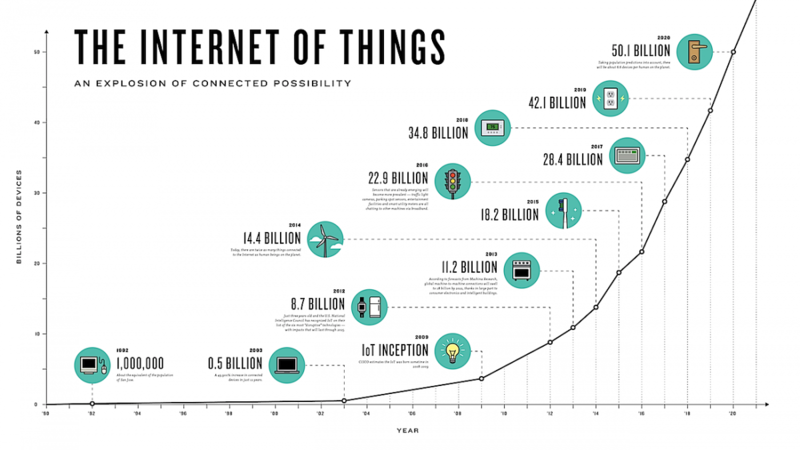 This can lead to multiple problems in the realm of IoT. According to Gartner, we are shifting from an era of Internet of Things to the era of Pervasive Digital Presence (PDP). We have reached a point where the use of IoT has moved from costly and propriety use in industries to cheap and ubiquitous use in nearly all spaces. The advent of sensors and actuators has really made the IoT solution available to the business in a routine and inexpensive way. The time is ripe for the integration to happen between IT security and OT security. It all now depends upon how fast the industries align and adapt to this evolving trend and technology-the race is on!